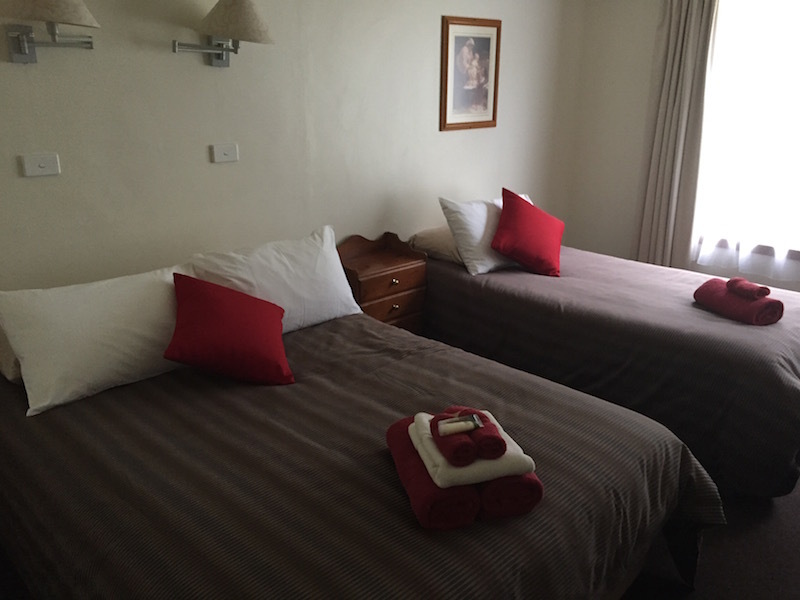 Port Arthur Motor Inn – A Review – When planning a visit to Port Arthur I decided to stay at the Port Arthur Motor Inn which over the years has received mixed reviews on Tripadvisor and having stayed there I believe many to be unfair. 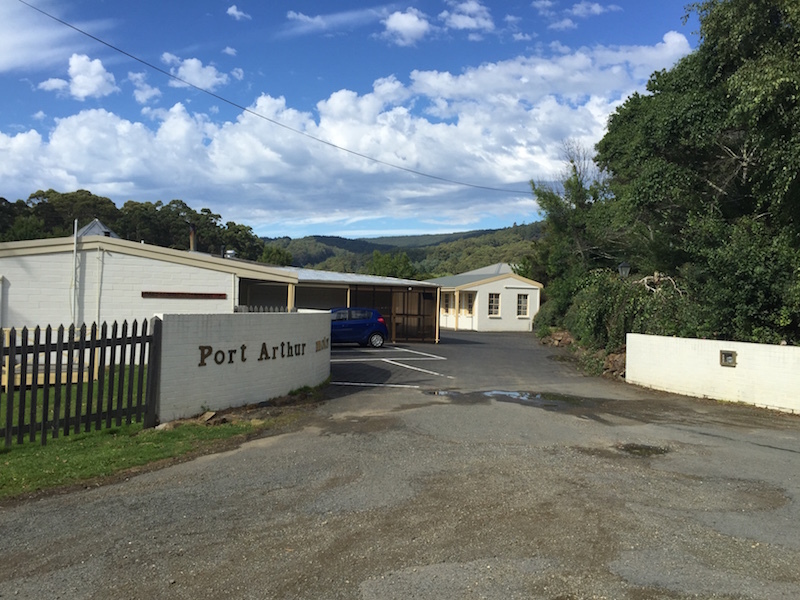 The Port Arthur Motor Inn is an older style motel typical of what you find around rural Australia. It does not market itself as a 4 plus star establishment and shouldn’t be assessed on that basis. We paid under $100 for a room which accommodated 3 and which was extremely clean (yes it is dated but the price paid reflects that) with linen, pillows and towels of good quality as well as the complimentary toiletries. 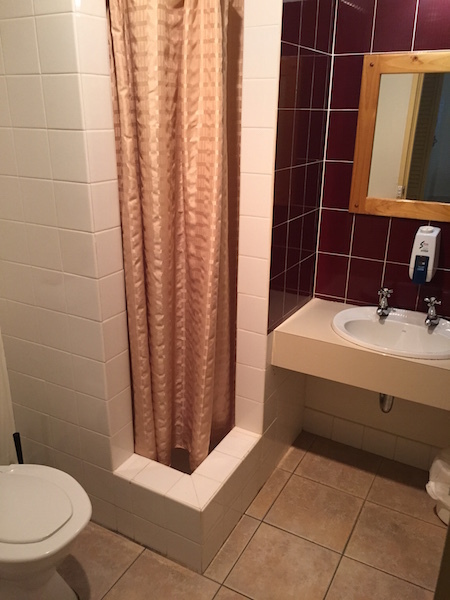 The bathroom is original, but as mentioned above, was clean and functional. The water pressure from the shower was impressive as was the temperature. For one who lives with a shower with an “environmental shower head” the unrestricted flow was a blessing. What can be construed as unclean is the toilet water which has a brown tinge, however when you read the guest directory this is explained as the tannins in the water. With the design of the motel having rooms side by side and parking to the front it is inevitable that there will be certain level of noise from adjoining guests and this was certainly the case, but I was still able to sleep comfortably. The Port Arthur Motor Inn provides a continental buffet breakfast for $10 with kids eating free, which is good value. 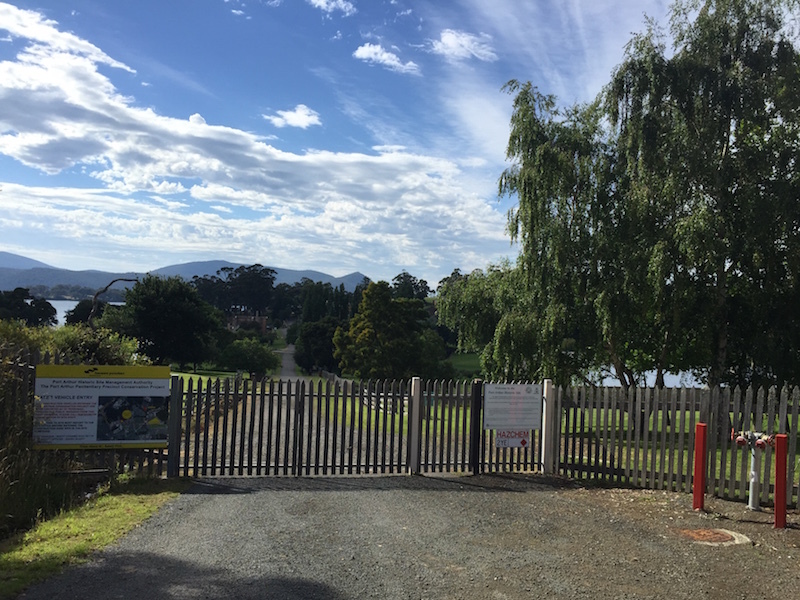 The one thing that sold me on the Port Arthur Motor Inn was the fact that as a guest of the motel you receive a key to the gate of the Port Arthur Heritage Site, meaning you can wander into the site when you want. This was particularly handy when doing the ghost tour and being able to walk to it from our room. The staff at the motor inn were helpful and accommodating. Overall the Port Arthur Motor Inn ticked so many boxes for me from affordable, clean, convenient and accessible. For those seeking a 4 star plus experience or judging the Port Arthur Motor Inn on that basis then look elsewhere. For the rest of us it is the ideal base to explore this world heritage area.